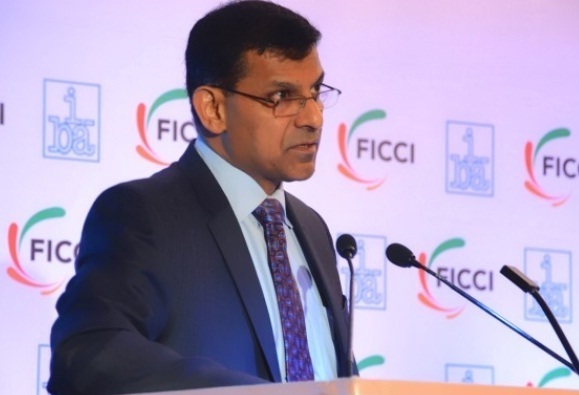 Mumbai: Raghuram Rajan, Governor, Reserve Bank of India today underscored the economic problems of the recent past and said they arose because India outgrew its institutions. The Government and the Reserve Bank are both taking measures to restore sustainable growth by building the necessary institutions. The RBI Governor was addressing FIBAC 2015 today. This is the 14th edition of FIBAC organised by FICCI and Indian Banks’ Association (IBA). This year’s 2-day forum that began today will deliberate on most exciting innovations and developments in banking technology and digital world and how these can be leveraged to promote India’s ambitious inclusive growth agenda. In his speech Rajan focused on India’s efforts to regain its place in the ranks of prosperous nations. We must remember that what sets poor nations apart from the rich is not people or resources or even luck but good governance, which comes from strong frameworks and strong institutions, emphasised Rajan adding his focus is on the challenges in ensuring sustainable growth does not detract from the tremendous progress the country has made. There is much to be optimistic about, including the massive investments that are starting in infrastructure, the tremendous sweep of information technology across every facet of Indian life, and the radical changes that are taking place in the financial sector, he pointed out.